The renowned real estate developer, Valmark Group is coming with a new residential project, Orchard Square in Bangalore. Conveniently located in JP Nagar 8th Phase, off Bannerghatta Road, the development is well-connected to major malls, world-class hospitals, and international schools. If location, quality, and value are what you are looking for in Bangalore, Valmark Orchard Square is a residential development designed for you. Widely spread over 3.25 acres of land area, there are 272 apartments in total getting concreted by Valmark Group. The development is amalgamated of 2 and 3 BHK apartment’s variants and absolutely delightful for a big and small family. The variants of apartments are getting developed in that area ranges from 1042 sq. ft. to 1455 sq. ft. offering more living space bundled with a host of indoor and outdoor amenities to rejuvenate. The open spaces and lush greenery inside the development will surely charm you. The project has been built with exquisite design sensibility and, practically warm and homely. The towering 16-story building seamlessly integrates indoors and outdoors. Plush amenities like gym and spa dot this property. Orchard Square is thoughtfully planned and filled with all the world-class amenities along with the basic facilities. This is an exceptional project with all the grand and majestic features. Seeing all the trends, the mesmerizing development can rightly be termed as the new age home for the modern monarchs. The complex is well-equipped for surveillance and security features. There is a swimming pool, a state-of-the-art gym, and a sauna and steam room to give you an amazing and refreshing experience. The jogging track and walkthroughs are sure to help you maintain health and happiness. The development also offers multi-purpose hall, clubhouse, kids’ play area, indoor and outdoor sports facilities, exquisite landscape and more. Each apartment at Valmark Orchard Square Bangalore ensures a unique view from the wide balconies and glazed windows. The interiors are done with stylish fixtures and chic fittings. The layout of the development is well –planned and ensure a maximum of natural light and cross-ventilation to reside in. Lush green surroundings, opulent setting, high-end specifications, and pristine environs will soothe your senses magically. All the apartments are Vaastu-compliant and bring positivity in each corner of the home. 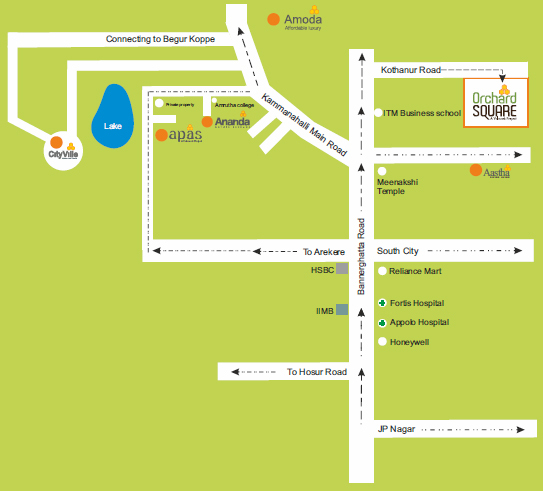 Valmark Orchard Square JP Nagar, the development offers easy connectivity to all the major places in Bangalore and nearby areas. The development puts you in close proximity with the IT hub of Bangalore. 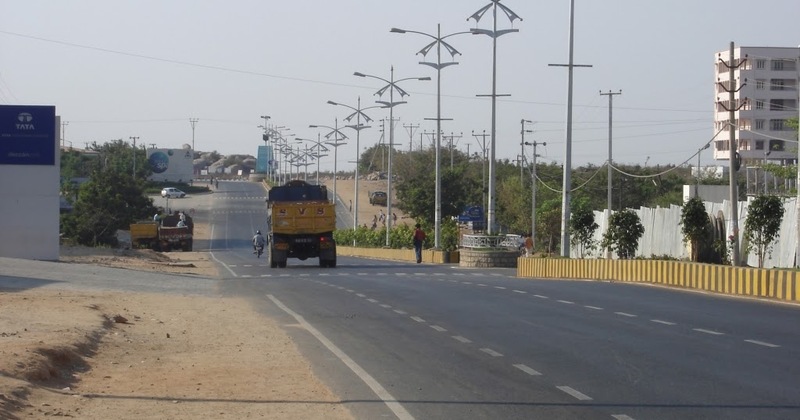 The project comes in close vicinity to MG Road, Airport and NICE Ring Road. With several infrastructural developments and commercial projects, this part of the city seems to have a lot going for it. It is also enclosed to several transport facilities for the inhabitants of this development. Valmark Orchard Square Price and payment options are active. Segments of the apartments are quoted at the rate of Rs. 49.14 lakhs to Rs. 68.61 lakhs, depending on the area and configuration. This residential development by Valmark is served as an affordable option to grab. You can go through the multiple payment plans updated by the developer or go for the easy home loan facilities to make your purchase more comfortable. Valmark Group is a prominent real estate and property developers based in Bangalore. The group has over two decades of experience and a proven track record of excellence in the real estate sector. The impressive Manyata Tech Park & Residency in Hebbal, the imposing gated communities of Classic Orchards on Bannerghatta Road and grand Classic County in Kengeri are some of their standout projects of repute. The group has joint ventures with several well-known real estate majors including Unitech, Brigade Group, Vaishnavi, Ashed Properties, Classic Group and Valdel Group for residential apartments, shopping malls, hotels, commercial office spaces and integrated townships. All these projects are located in and around Bangalore. Valmark Orchard Square Bangalore Top-quality project management, strict adherence to time schedules, excellence in execution and the promise of absolute value for money are some of the corporate benchmarks that the group aims to achieve. Located at JP Nagar 8th Phase, Off Bannerghatta Road, Bangalore.